A workshop with project engineering experience. This program provides more in-depth project design and construction. Students will use new tools and learn new skills when working on their project. This program is designed to provide a more structured environment with experiential engineering in a fun environment. 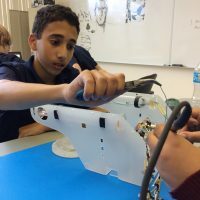 Engineering Academy Program teaches project management, critical design thinking, problem solving and construction techniques in a hands-on STEM environment. 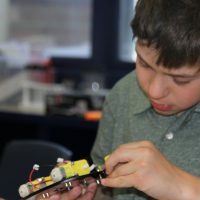 Roots 2 STEM is now placing Engineering Academy programs in schools for after-class programs. 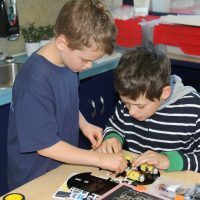 If your school would like to have a program that works for your students, please contact Dean White at 403-257-4200 or dean@roots2stem.ca.